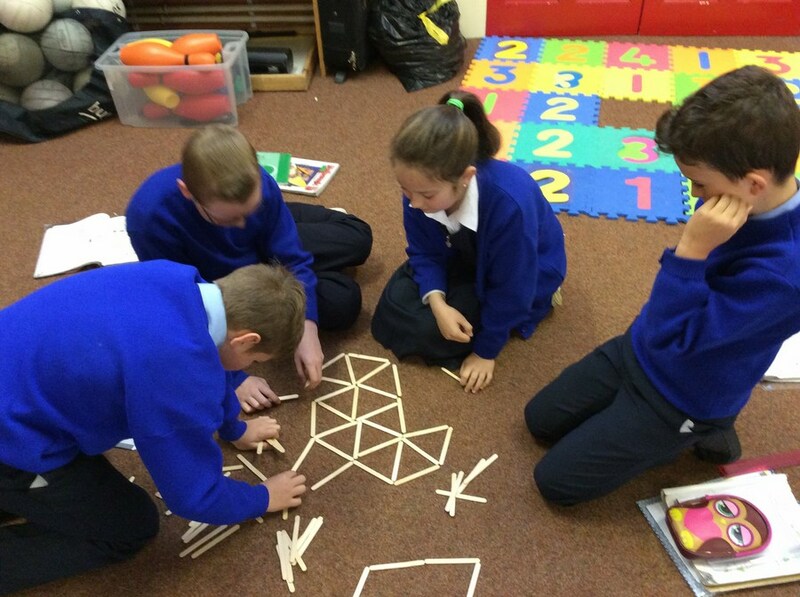 St. Aidans NS, along with schools all over the country, took part in Maths Week Ireland from October 12-16th.  Maths Week Ireland promotes, awareness, appreciation and understanding of maths through a huge variety of events and activities. Second Class learned about mazes and tried designing their own mazes! 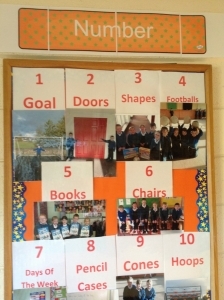 Fifth Class explored 2-D shapes. Senior Infants discovered lots of maths in the story of Snow White and the Seven Dwarfs! 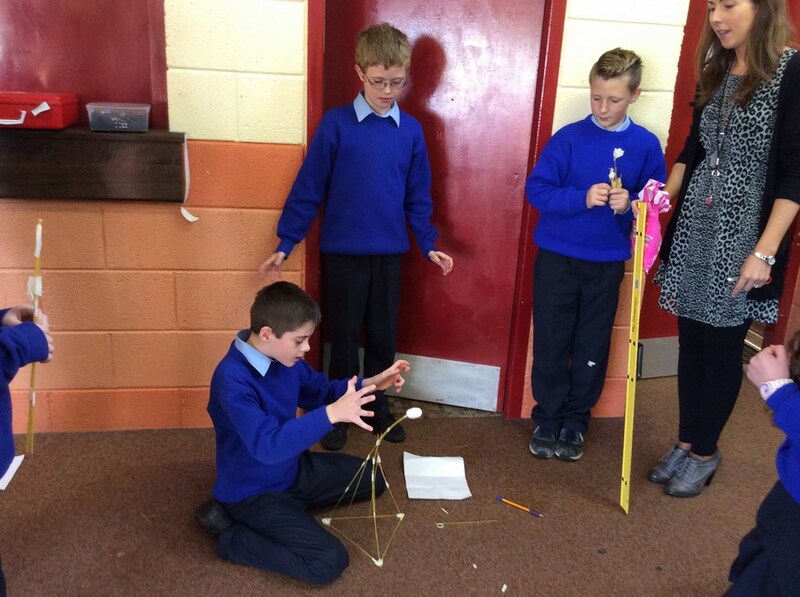 Children from 3rd-6th Class took part in a challenge to build the tallest freestanding structure capable of supporting a marshmallow out of 20 sticks of spaghetti and 1m of masking tape. 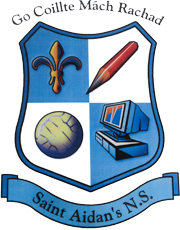 8 pupils will be chosen to represent the school in a similar challenge at the MacWilliam Park Hotel on Wed 11th Nov 2015. 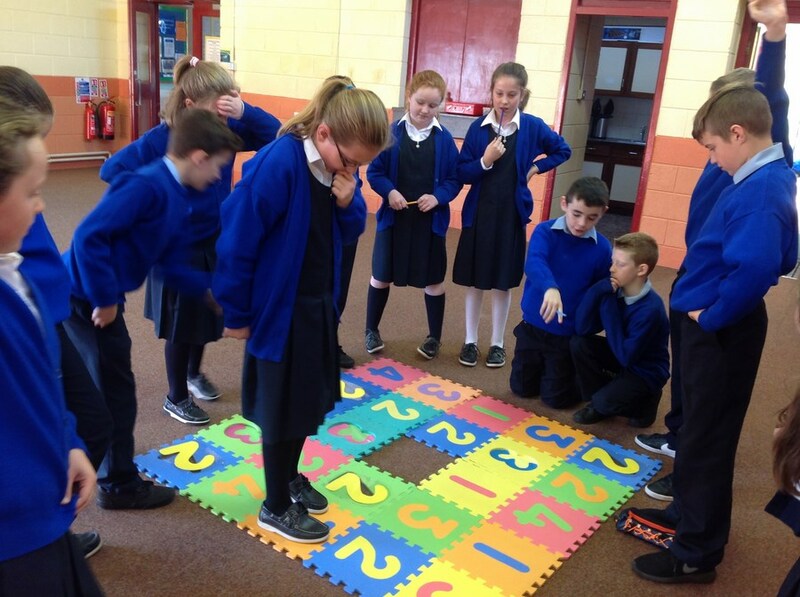 Classes from 1st to 6th took part in a Puzzle Board Challenge. Winners were presented with prizes at our Hallowe’en School assembly. 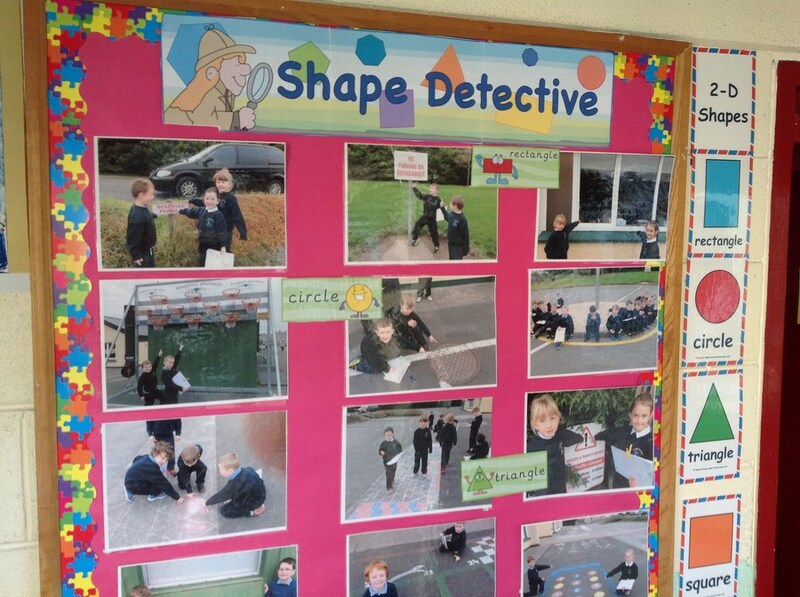 First Class went on a Shape Hunt. Children tried to find their way to the centre of this maze. It wasn’t as easy as it first looked! Second Class made this lovely display comparing heights in the class. 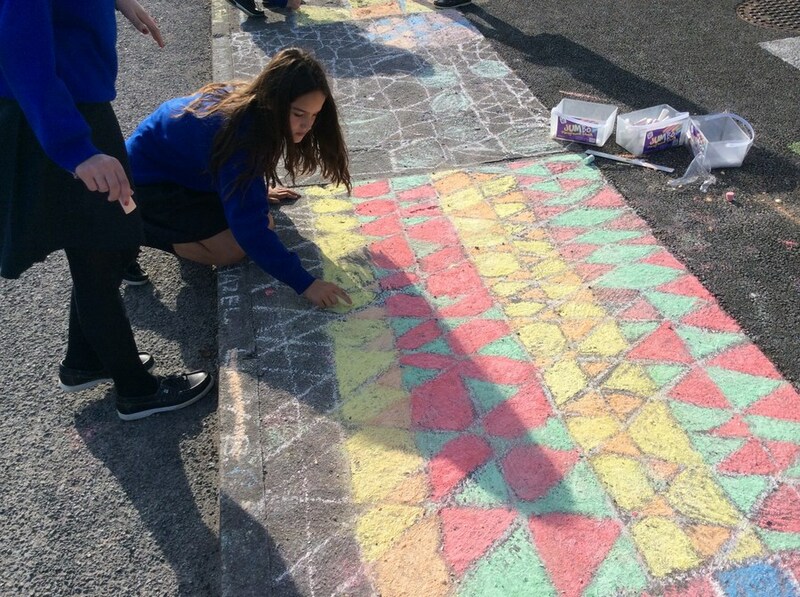 6th Class explored tessellating shapes. 1st Class made this number frieze. Winners were presented with prizes at our Hallowe’en assembly.